The S40 is a rugged shredder with particularly high throughput. 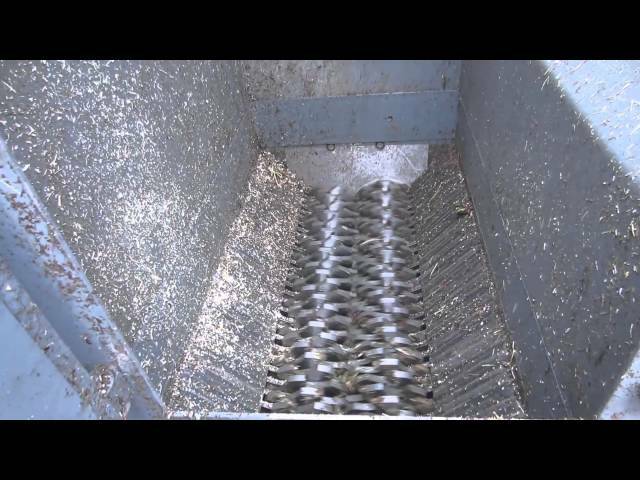 This shredder is optimized for biological and biogenic waste. Special seals protect critical components from aggressive plant and food acids. Furthermore, the straightforward construction keeps your maintenance expenditures to a minimum. The S40 is a very efficient two-shaft shredder that is perfectly designed for organic waste and their specific characteristics. The precision cutting unit, equipped with an effective stripping system ensure exact cutting and prevents jamming. These shredding machines are equipped with a special mechanical seal that protects the shaft bearings and the gears from dirt and acids. This extends the service life and greatly reduces maintenance. The S40's low noise and dust generation is also an advantage. The two-shaft shredder can be optimized for your operation with various cutting unit widths, motors, and many other options.